No doubt you offer a great deal of TLC to your car. You make sure there is enough oil to protect the engine. You get out the wax polish to protect the bodywork. You put covers on to protect the seats. And so on. But all this protection is useless, isn’t it, if someone breaks into your garage when you are out for a walk, or in bed asleep, and drives off with your pride and joy? So what you need is a little bit more protection. And a CCTV surveillance system is just the thing. Set up in the right place and in the right way it can save you all the aggravation and despair that comes with car theft. Just by having a camera there for all to see is usually sufficient to send any would-be car thieves on their way. They much prefer a garage offering no protection. Makes life much easier for them. It may well be that you have other items stored in your garage which would be a target for thieves, so it is not just your car which is at risk. As a bonus, there are systems available which would enable you to keep watch on your garage, through the internet or mobile phone, if you decided to fly off to foreign climes for a well-earned break. So no need to worry. Just relax and enjoy yourselves. Peace of mind. That’s what CCTV gives you. Give car thieves the kick… call us for a free quotation for installing CCTV in your garage on 0800 211 8310. When it comes to your car, van or lorry, you offer it a great deal of TLC, whether it’s making sure there’s enough oil in the engine or getting out the wax polish in order to properly protect the bodywork. You may even find yourself putting covers on to ensure your seats stay as good as new. Some of us are simply determined to keep our vehicles looking as good as the day we purchased them. All of that protection is useless, however, if someone simply breaks into the garage and makes off with your pride and joy, while you’re out or asleep. In order to ensure your vehicle is properly protected, you’re going to need a little more than wax polish and seat covers. That’s where an effective CCTV surveillance system for your garage can help. By setting up a CCTV system in just the right place and in the correct way, you could potentially be saving yourself from the unwanted aggravation that comes with discovering you’ve been the victim of vehicle theft. Having a camera on your garage is usually enough in itself to discourage thieves from stealing your vehicle. If they’re out to steal, they’re far more likely to steal from a garage that has no protection than one that has a CCTV system installed. If you use your garage for storage, it’s highly likely that you will have items other than your vehicle that could be a target for thieves. So think about more than protecting your vehicle. What kind of valuables do you have in your garage? Can you afford to have them stolen? 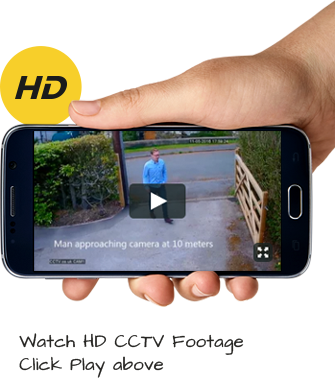 A CCTV system will make worrying about your vehicle and valuables a thing of the past, and with some systems, you can even keep a watch on your garage via the internet. Ultimately, it comes down to peace of mind. A CCTV system provides you with the knowledge that your vehicle and belongings are safe – and that can prove to be priceless.